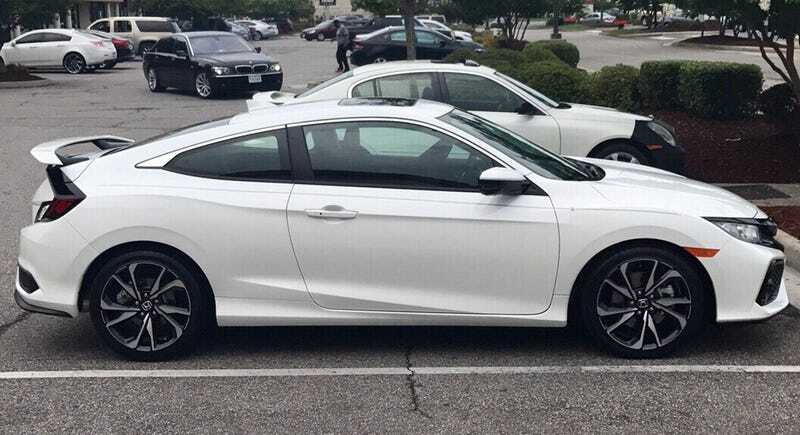 I can’t help but love the new Civic Si coupes. I parked next to one today, and damn it’s nice. This is just a pic I found of a white one on the interwebs.